It was a while ago now that the boyfriend and I spent three weeks backpacking through New Zealand on the Kiwi Experience bus. 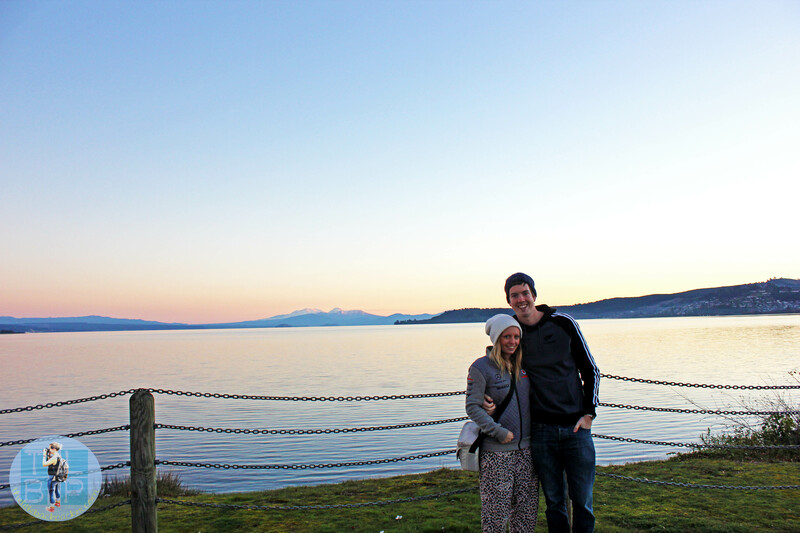 We had an incredible experience and were so grateful of the money we saved up while on our working holiday visa in Australia. New Zealand is a country full of adventures and opportunities and thanks to our hard work (and strict budgeting) we were able to do so much while in New Zealand. It occurred me the other day that I’ve never shared this budget with you. Due to keeping an Excel document of our spendings, I still have this information to share with you now. 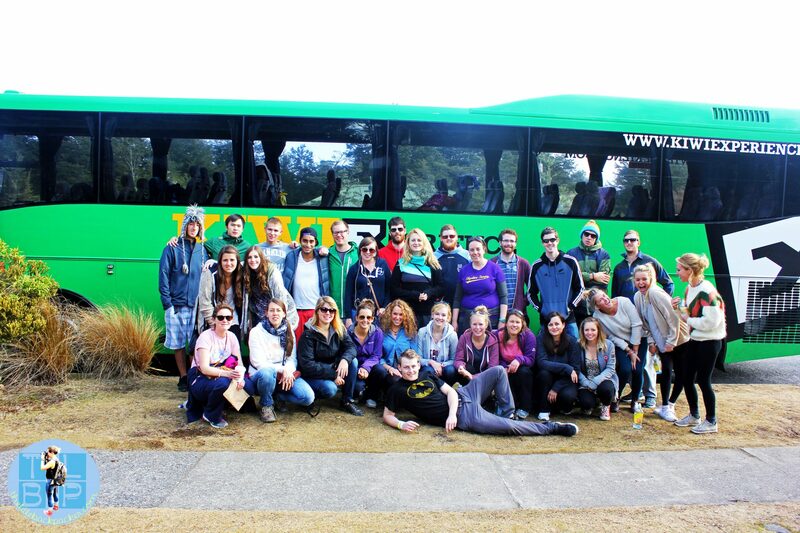 Before we flew off to New Zealand as part of our gap year we had booked up our transport on the Kiwi Experience bus. We did so directly through their website and chose our bus route based on two things: which routes were on offer when we booked and which ones suited our time scale of three weeks. They have all kinds of bus tickets to suit every budget and time scale. We chose the Zephyr pass and paid $639 plus $125 each for the Milford Sound add on. For food while we were in New Zealand we set ourselves a budget of $46 for the two of us. This was based on cooking for ourselves in hostels for breakfast and dinner then grabbing something on the go for lunch. We did also allow ourselves a few evening meals out during the three weeks and alcohol was included in this budget. Please note neither of us are big drinkers so this helped to keep dow the costs on nights out. As you can see, we came in under our $46 budget per a day but this could easily have been spent on alcohol or eating out a bit more. *costs on food will vary if you aren’t sharing the food with others, as it is often cheaper to buy and cook in a group. As a couple travelling on the Kiwi Experience we liked to mix up private rooms and dorm rooms throughout the trip. These would either be booked through our driver on the Kiwi Experience or through hostel bookers/hostel world as we found this could get us a cheaper price, especially on private rooms. We gave ourselves a budget of $58 for the two of use per a night to help with budgeting beforehand and stop us over spending whilst in New Zealand. 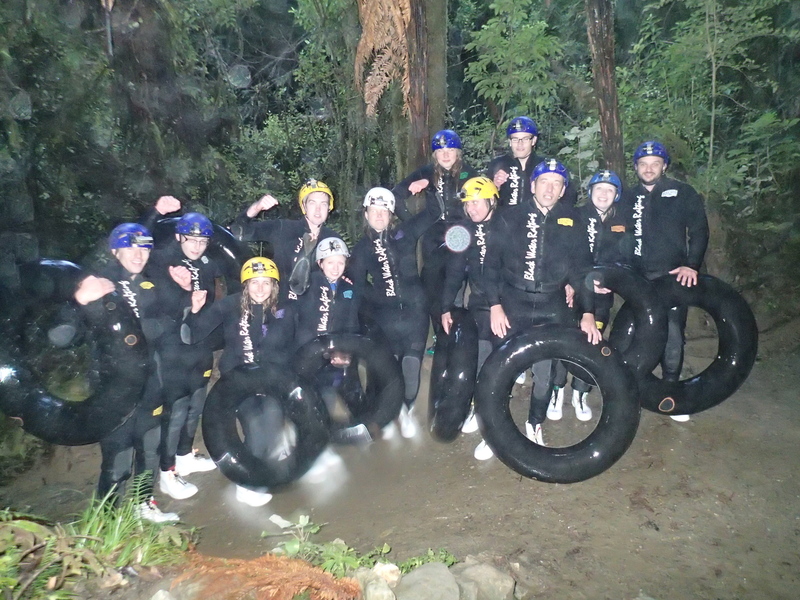 While on the Kiwi Experience you are offered trips and experiences daily, while we could never have afforded everything on offer, we still took part in a good portion of activities. These included snowboarding, jumping off a canyon, glacier hiking, black water rafting, horse riding, Tongariro crossing and more. Some days we spent nothing on activities and trips while other days were a lot more expensive. While travelling there are always things which you end up spending money but don’t fall under any of the above categories. It could be anything from a postcard and stamp, taxi to the airport or a new hoodie. We didn’t spend much money on souvenirs or presents as we still had another six weeks to spend travelling. So this a s very rough guide of the ‘extra’ we spent. 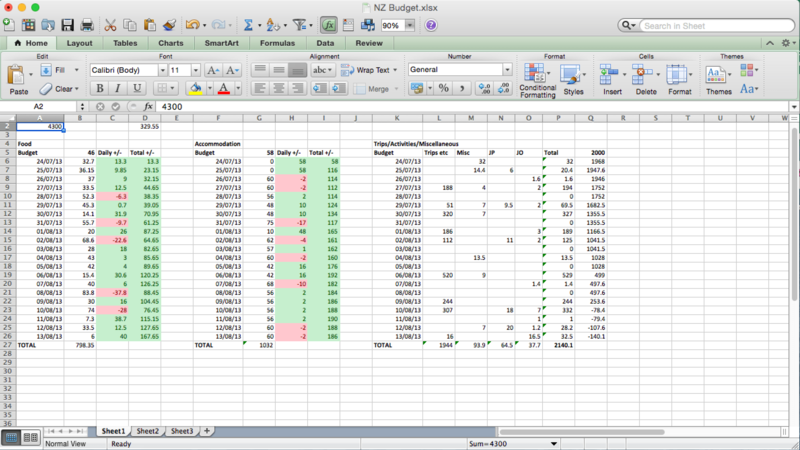 For those interested this is the exact break down of our excel spreadsheet. This is only to be used as a rough guide and prices were correct at the time of visiting in 2013 and conversion rates correct when writing in 2015. I know as I wrote it, I was thinking how expensive it sounded but once converted it isn’t too bad. Just a shame the flights there are so expensive! Is there a list of things you guys brought with you? Like some key essentials? As our plan changed slightly from the original one which was to see New Zealand in the summer I added in a coat, jumper and scarf. Thank you, Jodie! Your blog is great! I googled “three weeks backpacking in New Zealand” and brought me straight to that entry. Great stuff! What kind of activities did you do? My girlfriend and I want to go and have a great plan to have an awesome (and romantic) time backpacking there.